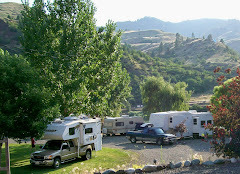 Swiftwater RV Park --- The Best Value on the Salmon River! Greetings from the Salmon River in north central Idaho! The website for Swiftwater RV Park has been upgraded and enhanced with a special blog page. All blog posts will now originate from the website: http://swiftwaterrv.com/. 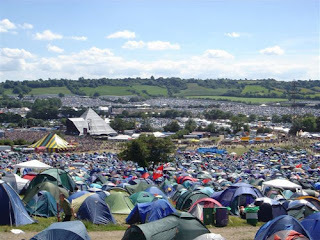 I hope you can bookmark or put in your 'favs' our website, as lots of material will be forthcoming in 2012. This is the link to the blog page: http://swiftwaterrv.com/rv-park/blog/. Just finished reading a funny entry in the journal of Barry & Monique Zander at RV.net ....the authors tell about different situations when their 28' travel trailer is not referred to as an 'RV' (probably by folks who have never set foot in an RV)...and it got me to thinking about all the different types of RVs, their history,and what they are called in other countries. Wikepedia describes 'campervans' quite aptly as s ometimes referred to simply as a camper, or a caravanette (I like this version...is the interior decor 'Barbie pink'? ), is a self-propelled vehicle that provides both transport and sleeping accommodation. Then it goes on to read "In the U.S. the term RV is more common they tend to be larger than in Europe..or the rest of the world." Go figure. 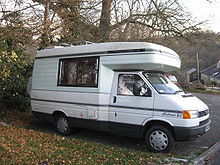 This cute model is a typical campervan that is very popular in Europe and it includes a 'hob' (kitchen stove) and grill and amenities familiar to U.S. manufactured RVs - even air conditioning - though smaller models often carry a "porta-potty" portable toilet, and sometimes an external shower which operates within the privacy of an awning. Yikes! There's more! Then I learned about the 'Dormobile' - a 1960's-era conversion type campervan aka 'motorcaravan', manufactured in Kent, England. The first Dormobile motorhome, complete with a gas stove, a sink and cupboards and seats which converted into beds, appeared in 1957. We're at the Idaho Travel Council's annual Grant Summit in Boise....learning how to grow our business and welcome you to our beautiful RV Park in the 2011 season. The Park is going through the Winter blahs...the leaves are gone and the grass is brown, but we have plenty of guests enjoying the ability to store their rigs from November to March. They come to fish, hike and enjoy our sunny skies during Winter. In preparation for your visit later this year, our bushes and trees are trimmed and seeds are being purchased to plant flowers by the Gazebo in May. What are your plans for traveling this year? Will the price of gas affect your travel plans? Let us know your thoughts and keep us posted. 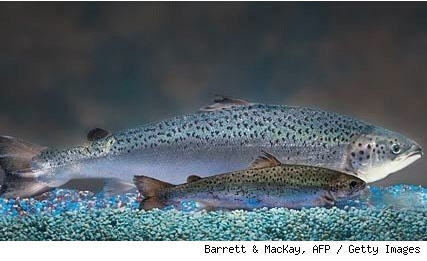 However, the FDA is considering approval for a genetically engineered fish grown in a lab. If this approval occurs on a product called Aqua Advantage, it will be the first time a genetically engineered animal has been given the green light for human consumption. 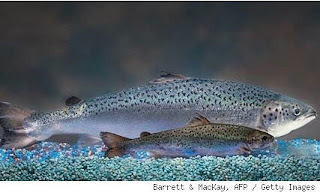 However, as reported by Alison Faibrother in Politics Daily, consumers are shaking their heads ‘No Thanks’ to salmon eggs produced in Canada, and then grow them in controlled facilities in Panama before shipping to the U.S. for consumption. Apparently this fish is a triploid - three sets of chromosomes, not two - a genetic condition that makes the animal sterile. Yikes. It grows twice as fast as a Chinook or other natural Salmon. No thanks! Anglers at our campground here in Idaho along the banks of the Salmon River - from Salmon in the Spring run, to Winter Steelhead, or any other fish - have no worries about genetically created fish or fuss over chromosome counts. When a beauty is at the end of your line in the River of No Return, just reel it in and pop it on the barbie. Your only concerns might be the temperature of the grill or which seasoning to use. Winter Steelhead fishing is ongoing for the months ahead, and there are always a few spots open here in our Idaho campground for overnight guests, in addition to our Winter Storage guests. Cold temps & rising water = outstanding steelhead fishing! This am’s 38 degrees on the Salmon River coupled w/ recent downpours ensure a good run. Are you here yet? Steelhead count over Lower Granite Dam as of Oct 11 is a whopping 168, 557 YTD, and another 50,336 for wild, according to http://www.fpc.org/currentdaily/7day-ytd_Adults.htm . Already, the count is better then the ten year average. The recent turn in the weather to cooler temperatures, this is going to be another great week for steelhead on Idaho rivers. Anglers can be spotted up and down the Salmon River, in boats and from the banks of the river. A recent report from Idaho Fish & Game reads: "Anglers are doing well using brad's lighted squigglers at night and hot lip lures or mag warts during the day. Bobbers with ducktail jigs and shrimp is another good set up." All Idaho steelhead are summer run fish, which means they leave the ocean in the late summer, with most of the fish arriving in Idaho by early fall. These fish will then spend the winter in the Snake, Salmon and Clearwater Rivers, and spawn the following spring. Here at the park, we still have camping and rv-ing availability for spaces along the River, AND the good news is that spaces for Winter Storage are still available. Give us a holler, and we'll get you in! Ken and Jen stayed with us in early September as tenting guests.....they are on a 7000 mile trike trek to raise awareness for organ donation in memory of Jen's daughter Alex. Frequently, our tenting guests get a thrill from staying beneath the willow trees near the Gazebo, which is on the banks of the Salmon River. Waking up to the sounds of a gentle river - but mighty - lapping onto the shores is one of those memories that lingers a while in one's mind. We were delighted with the photos they emailed a few days ago... and their statement which I just have to share: LOVED staying at your park! Being the modern travelers they are - and Adventure Cyclists - you'll also find a ton of pics loaded to their online live online journal which is capturing the text and fabric of their travels. Check it out! http://www.kenandjennc.blogspot.com/. Thank you Ken and Jen for sharing your story. Safe travels and the best of luck throughout your adventures. Cooler Idaho weather on the Salmon River is good for fishing! Steelhead season opened up Sept 1st, and 'tis expected to be an excellent season. Today's weather forecast will bring sunshine and warmer temps - into the high 80's or low 90's - but cool nights (50 degrees or so). We've had wonderful guests this summer...from Germany, Florida, Montana, to local families from Grangeville, Cottonwood, Boise and Spokane. We will get back to regular posts and keep you informed on local happenings, and beyond! Thanks for stopping by this online journal from Swiftwater RV Park on the banks of the Salmon River, in north central Idaho. Our RV Park welcomes guests pulling trailers, 5th wheels, motor coaches, or folks and families ready to pitch their tent. Even your furry friends - on a leash - are welcome! Free WiFi and 8 channels of TV can keep you in touch with the world outside of this rural bit of heaven. Starry nights, shady willow trees, and great fishing help build memorable vacations at Swiftwater RV Park. On top of that, we're only 17 miles from Hells Canyon and millions of acres of public lands. Swiftwater RV Park Slideshow: Anna’s trip to White Bird, Idaho, United States was created by TripAdvisor. See another White Bird slideshow. Create a free slideshow with music from your travel photos. Scenes From Dog Bark Park Slideshow: Dog’s trip to Cottonwood, Idaho, United States was created by TripAdvisor. See another Cottonwood slideshow. Take your travel photos and make a slideshow for free.